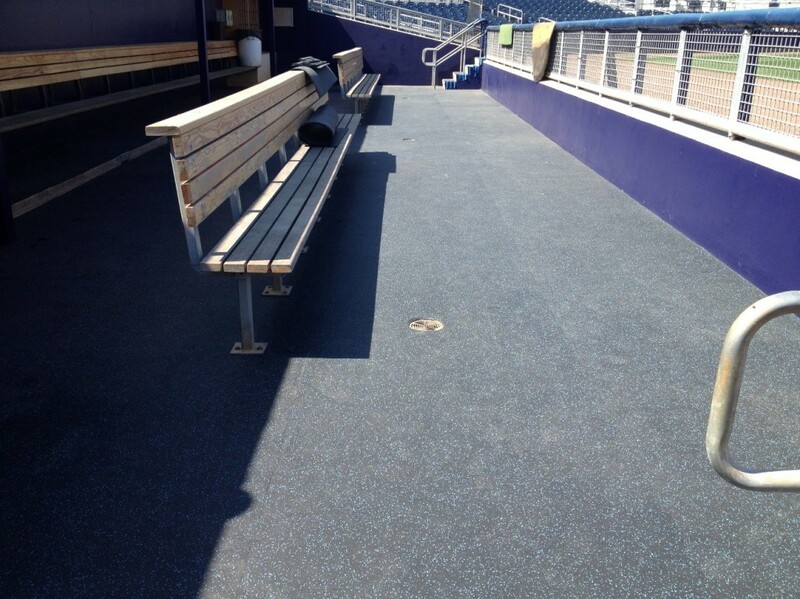 No matter your surfacing needs, TLI has you covered. 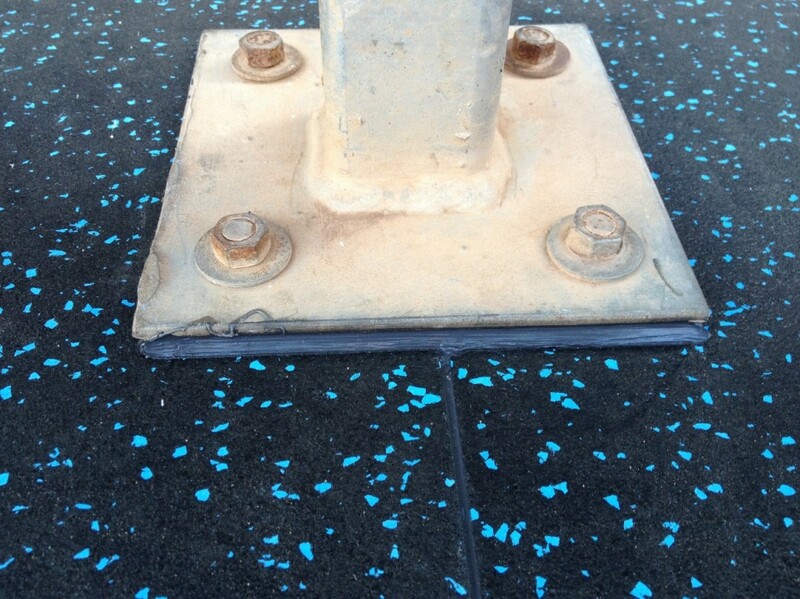 Unusual applications can be a challenge but with our knowledge and experience, we can handle any surfacing task. 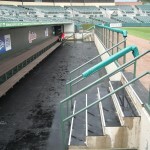 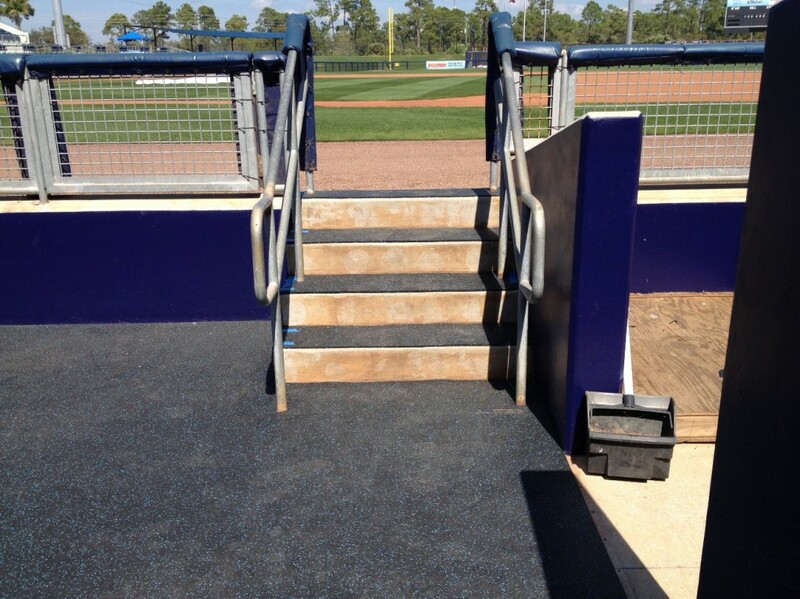 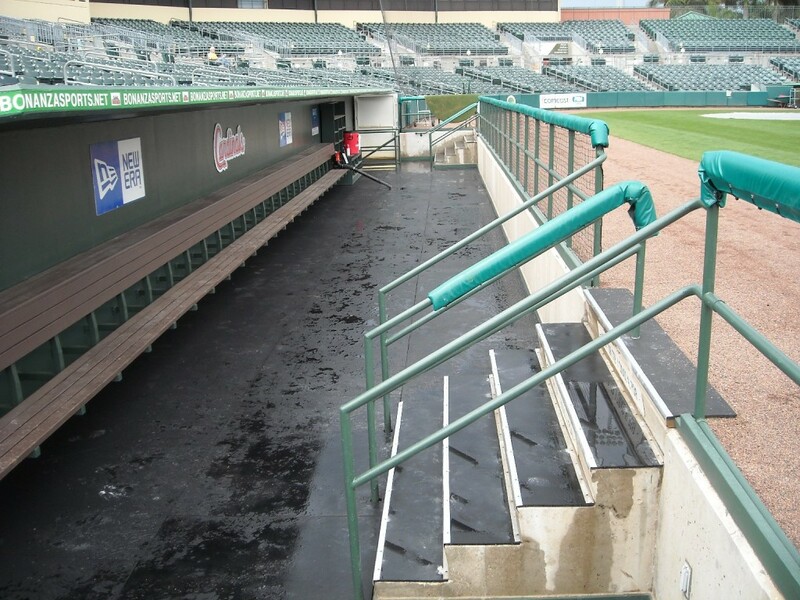 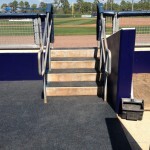 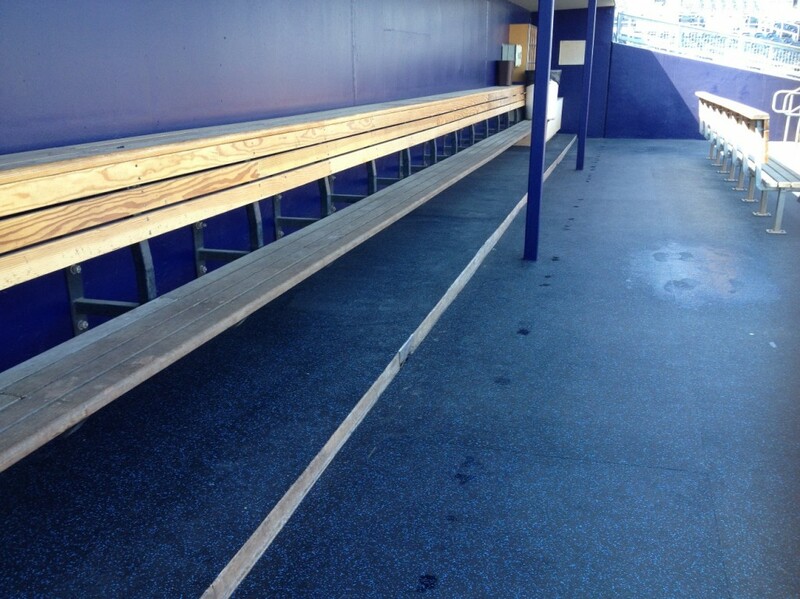 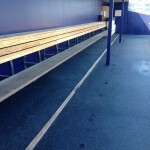 Finish off your dugouts with our 3/4″ x 4′ x 6′ rubber mats for the floor and our 3/8″ roller rubber for the steps. 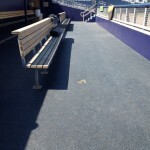 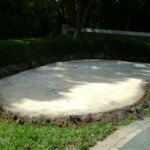 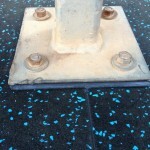 These non-slip surfaces, wet or dry, are durable, mildew-resistant, and very easy to maintain. 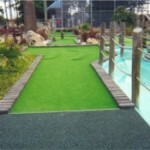 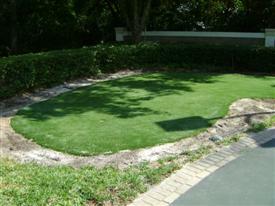 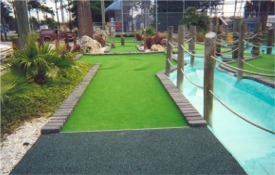 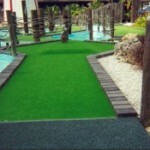 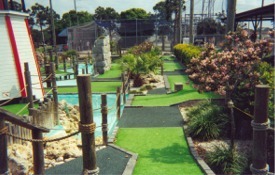 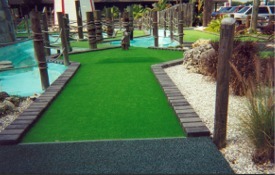 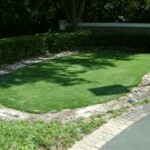 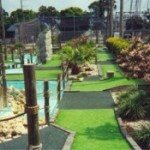 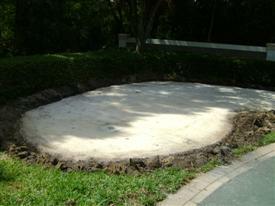 Our classical turf system was used for the putting greens at a miniature golf course in Largo, Florida. 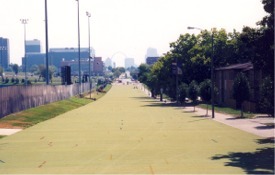 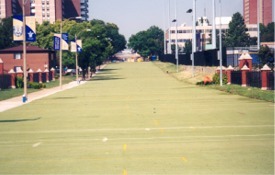 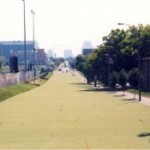 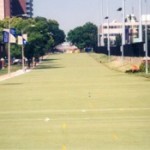 At St. Louis University, we “paved” a street with synthetic turf recycled from an existing field on campus to create a new intramural playing area.